I made this mainly for myself because I'm always in that situation where you need a pen and paper and you search through your entire bag and wallet to find any possible scrap of paper you can salvage. It's perfect because on one side you can use it to jot down someone's phone number and address, and on the other side for jotting down anything else you need to remember. The address cards are available to download (pdf files) in both color and black & white. Printed on 8-1/2x11 paper. Make sure you set your printer setting to "Fit to Printable Area" to fit it all on one page. 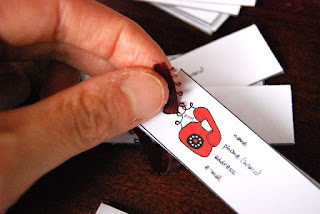 Cut the phone/address cards and punch out the holes. Using scrapbook paper or cardstock (This is where those scrapbook pieces you save but never end up doing anything with them comes in handy! 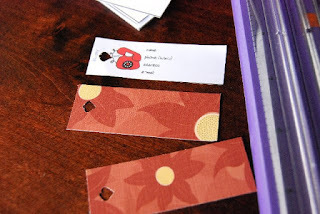 ), cut out and punch holes into two pieces that are the same size as the phone/address cards. These will be your covers of your booklet. 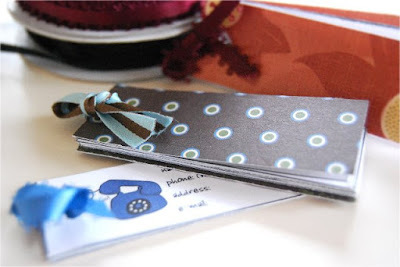 String the cards through a ribbon. 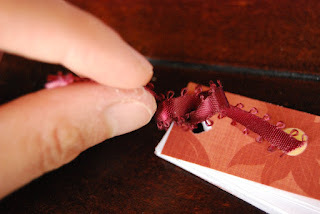 Make sure you string a cover card first. 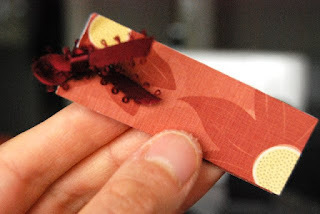 String the other cover card and tie the ribbon to close. Now to do something to try to remember that darn pen!! very cute and clever idea! thank you for visiting my blog, stop by anytime! I'm lol, because I am one of those ppl always searching for anything to write on in my purse... and sometimes had to use lipgloss to do the writing! What a fun project... i saw something neat at the Credit Union Bank. They were giving away note pads, and on the cover was an elastic and the pen fit snugly behind it against the cover. 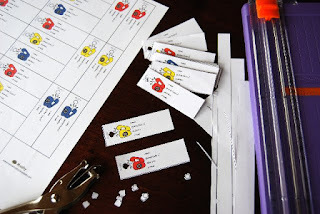 :) Just thought I'd share..
all these printables are so so good . too lovely.i love them all.